Back Row (L to R): Daniel McInerney, Frankie Lyons, Brian O'Gorman, David Barry, Darragh le Catelinais, Darragh Meere, Piaras O'Se, Eoin Hassett, Cillian McInerney and Max Riordan. Front Row (L to R): Ben Kelly, PJ Bliss, Christian Cummins, James O'Sullivan, Darragh McDonagh, Dean Meaney, James Cullinan and Oisin dAbreu. Back Row:- E Neylon, R Fitzpatrick, T Neylon, E McMahon, C Wynne, S O'Brien, E Leen, L McGrath, A Brohan, K Keane, S Danagher. Front Row:-E Hanrahan, C O'Brien, P Casey, E Fitzgerald, C Whelan, G Cahill, J Ryan, C Haugh, A Shannon, C O'Loughlin, E Burke, P Cleary. Back Row (L to R): Daire Guthrie, Dara Meere, Darren Punch, David Droney, Joey Lyons, Darragh Corey. Front Row (L to R): Tom O’Halloran, Dean Meaney, Frankie Lyons, Joshua Corey, Alan Woodford. 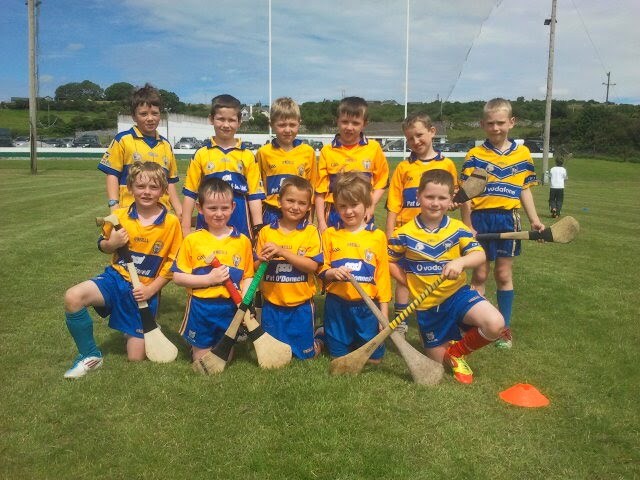 Ruan Under 11 Panel 2012. Back Row (L to R): Sean O’Loughlin, Denis Healy, Paul Howard, John Punch. 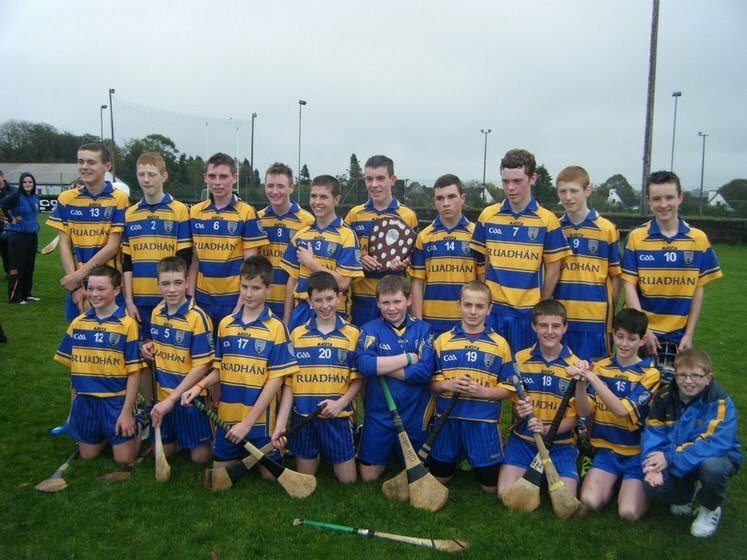 Middle Row (L to R): Matt Hanrahan, Patrick Healy, Patrick O’Halloran, Daniel O’Sullivan. 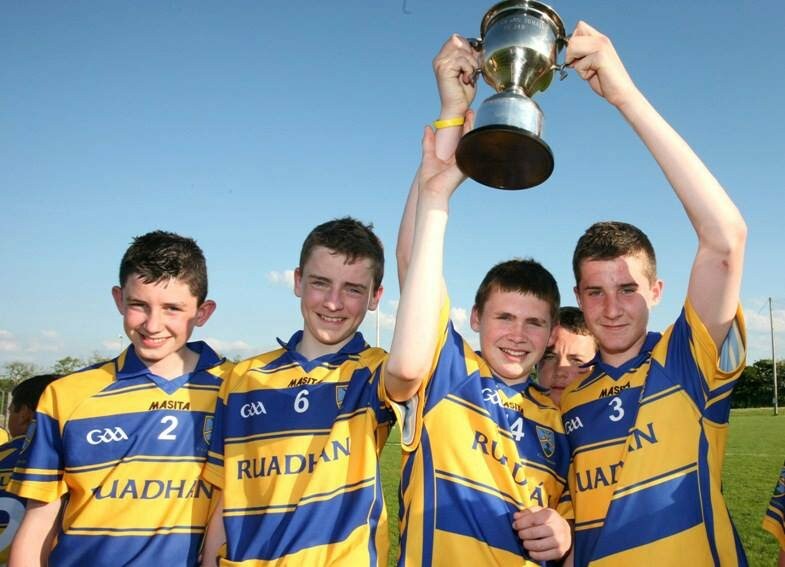 Cian O’Domoghue, Ashley Brohan, Robin Mounsey, Jack Lyons, Patrick O’Gorman, Michael Barrow. 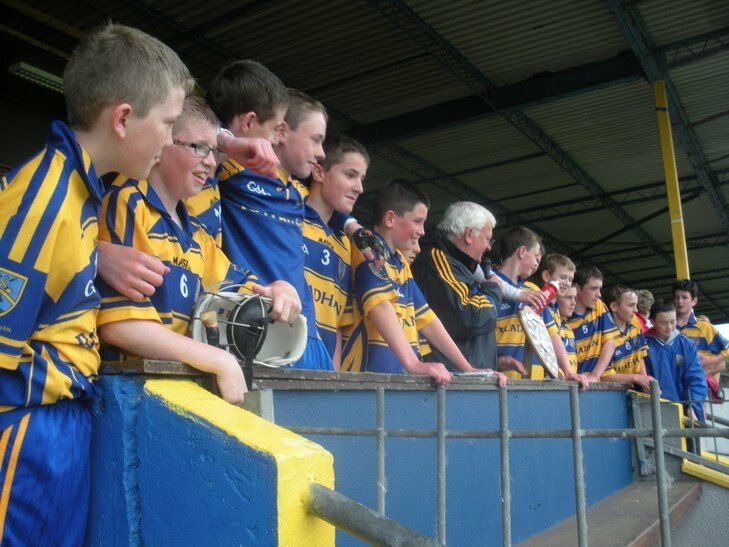 Front Row (L to R): Jordan Howard, Shane Punch, Patrick Mulqueen, Ciaran Jones, Jack McDonagh, Jamie Neilan, Thomas O’Halloran, Dara McInerney, Liam Moran, Niall Foley. Back Row (L to R): David Hehir, Colin Haugh, Brian O’Sullivan, Mark Corry, Eoin McMahon, Conor Wynne, Ross O’Donovan, Ryan Fitzpatrick. 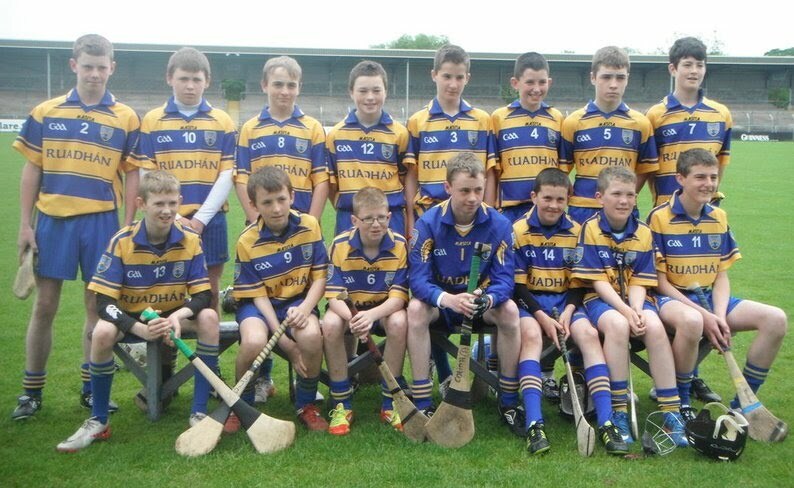 Front Row (L to R): Ronan Corey, David Kirwan, Nathan Bluett, Jack Hehir, Caimin Whelan, Padraig Casey, Alan McDonnell. 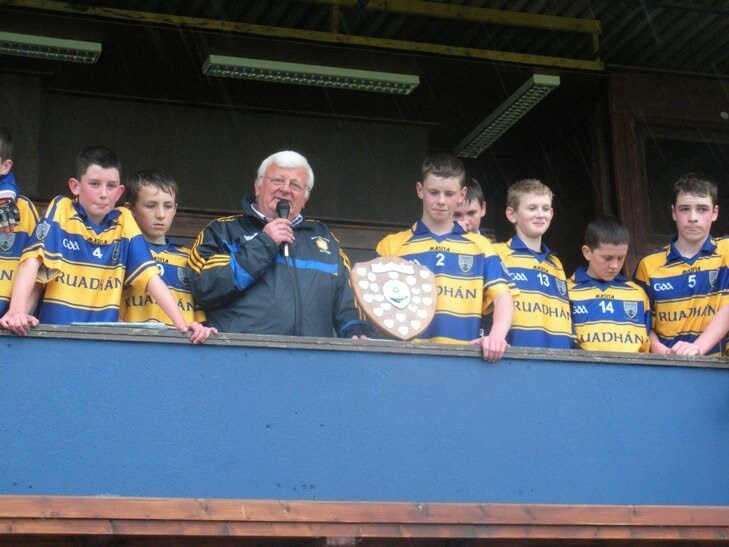 Corofin/Ruan Under 14 B Co Champions 2012. 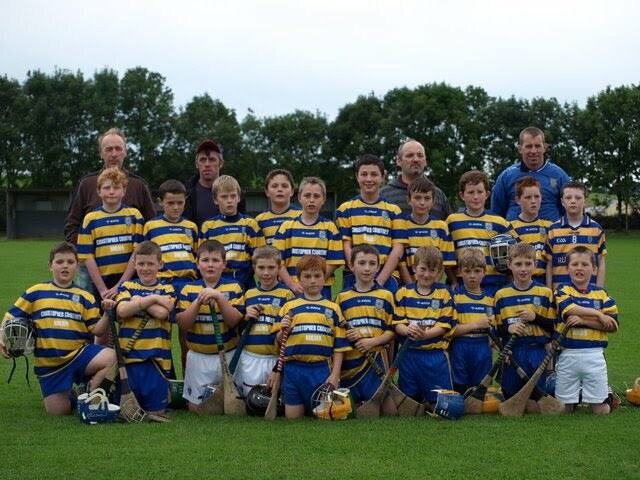 Back Row (L to R): David Hehir, Ian Reidy, Ronan Corey, Cillian Clancy, Rory Conroy, Brian O'Sullivan, Conor Waynne, Jack Hehir, Cathal Corbett, Liam Mc Grath, Eoin Leen, James Tierney, Alan McDonell, Ryan Fiztpatrick. Front Row (L to R):David Kirwan, Conor O'Shea, Liam Cosgrove, Colin Haugh, Nathan Bluett, Geroid Cahill, Conor O'Loughlin, Mark Corry, Damien Loughlin, Eoin McMahon, Tola Neylon, Ross O'Donovan. Corofin/Ruan Under 16 A Finalists 2012. 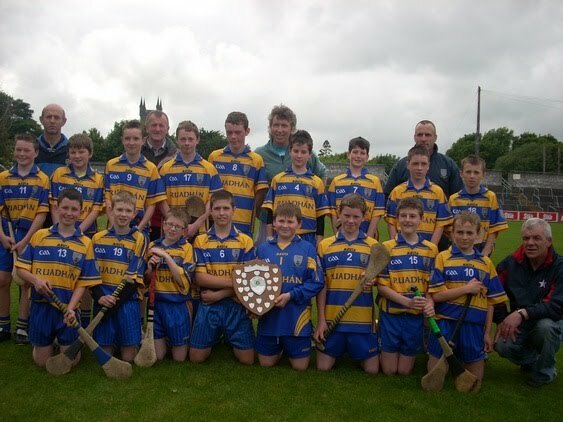 Back Row (L to R): Stephen Burke, Shay Malone, Colm Rice, Conor Hillary, Liam O'Donovan, Conor O'Loughlin, Jason Courtney, Fergus Killeen, Conal O'hAinifein, Tim O'Connor, Sean Hillary, Lee O'Donovan , Eoin Clancy. 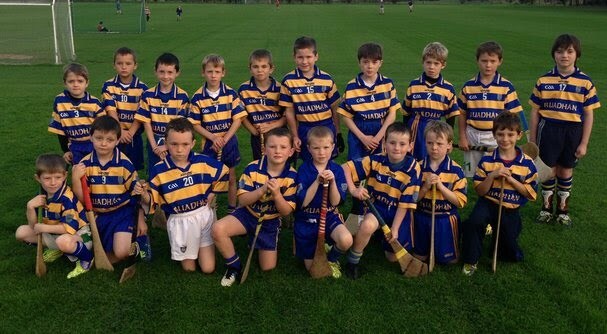 Front Row (L to R): Cian O'Dea, Evan Clune, Cillian Clancy, Damien O'Loughlin, Michael Kelly, Mark Corry, Michael Lyons, Michael Duffy, Michael Southby, Cian O'Reilly, Barry Heagney. Jamie Neilan, Shane Punch, Liam Moran, Jack Lyons, Patrick Mulqueen, Michael Barrow, Ciaran Jones, Thomas O'Halloran, Jamie Moore and Niall Foley. Kealan Mounsey, Alan Woodford, Jamie Cantillon, Dara McInerney, Jack McDonagh and Darren Punch. 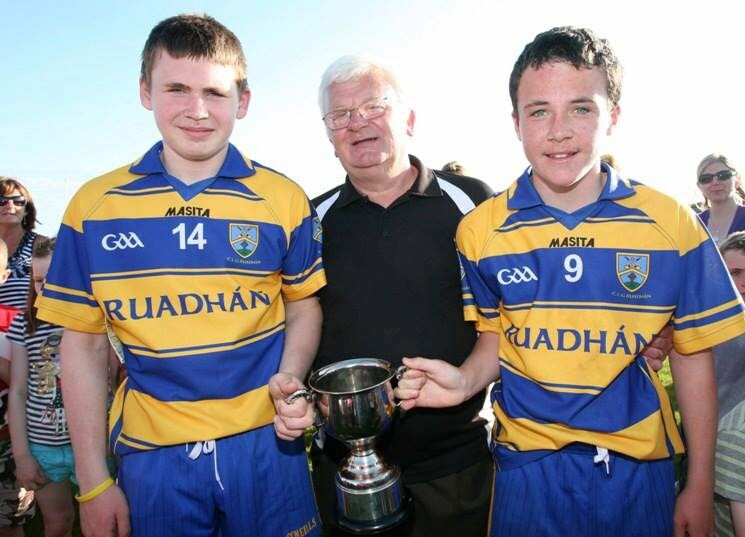 Conor Hillery and Barry Heagney. Front Row (L to R): Mark Corry, Ross O'Donovan, Eoin McMahon, Conor Wynne, Colin Haugh, Brian O'Sullivan, Alan McDonnell, Ryan Fitzpatrick and Nathan Bluett. 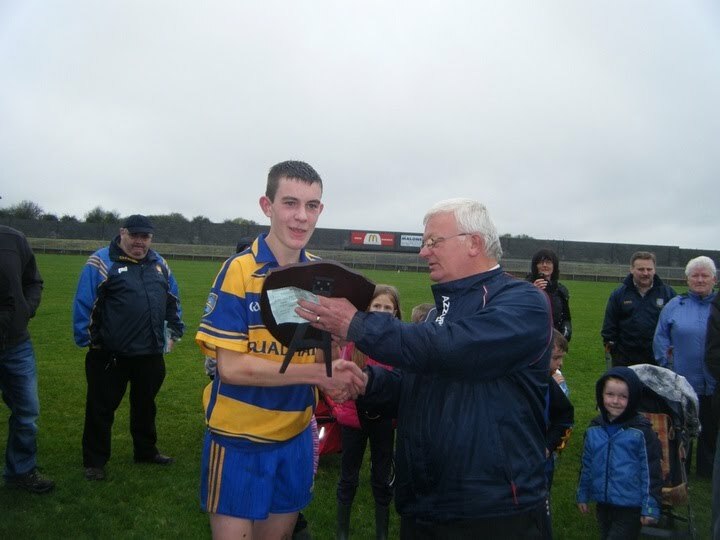 Conal O'hAinifein is presented with U15 Trophy by Chairman of Bord na nOg Martin Reynolds. Back Row: Flan Lyons, Kevin McDonnell, John O'Connor, Dermot McMahon. Middle Row:- Mark Corry, Evan Clune, Barry Heagney, Jack Hehir, Tim O'Connor, Eoin McMahon, Ryan Fitzpatrick, Ross O'Donovan, David Kirwin. Front Row:- Conor Wynne, Ronan Corey, Nathan Bluett, Michael Lyons, Colin Haugh, David Hehir, Alan McDonnell, Brian O'Sullivan, Joe O'Donovan. 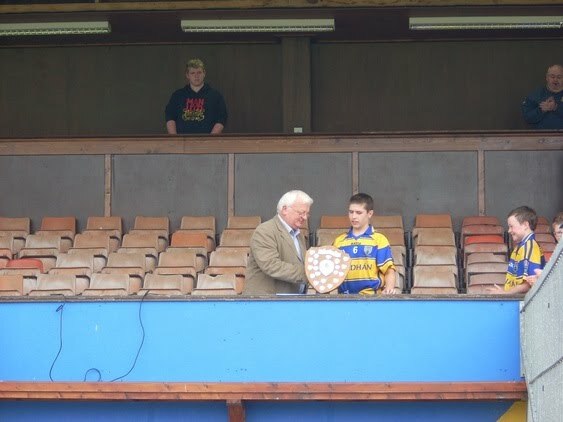 Ruan Captain Michael Lyons receives U14 Shield From Co Board Chairman Martin Reynolds.